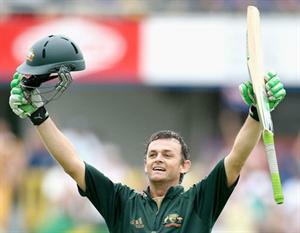 The full name of Adam Gilchrist is Adam Craig Gilchrist. Gilchrist is one of the best wicket keepers in the world who is currently retired from International cricket and currently playing for IPL team King X1 Punjab as Captain. Gilchrist hold the record of most dismissals by a wicket keeper in ODI cricket history. Gilchrist is a left handed aggressive batsman and opener of Australian team. Gilchrist was born in the year 1971 November 14 at Bellingen, New South Wales, Australia. At the age of 13 itself Gilchrist started his cricket as he became captain of Kadina High School cricket team. Gilchrist started his test cricket in the year 1999 November 5 against Pakistan and one day cricket debut against South Africa in the year 1996 October 25. Gilchrist has got 7 Man of the match award and 3 Man of the series award in Test cricket. Gilchrist has got 28 Man of the match award and 3 Man of the series award in ODI cricket. Gilchrist holds the record for highest number of sixes in test cricket with 100 sixes. In 2002 Gilchrist was awarded Wisdon cricketer of the year and one day player of the year award in 2003 and 2004.